If you eagerly anticipated any of 2016’s biggest AAA video games, chances are you could have found a way to play it ahead of its formal release. Street Fighter V, Battlefront 1, Gears of War 4, Overwatch, The Division — No matter the genre, it seems like every big-name multiplayer game has some kind of beta just prior to launch to kick the tires and start converting eager fans into a loyal community. Beta tests are becoming a bigger part of the development process than ever before — and that’s good news for gamers. In 2014, Blizzard launched Hearthstone: Heroes of Warcraft. By April, 2016 it had amassed a player base of 50 million players, demonstrating that the digital card game genre had serious potential, and breathing new life into the genre from a wave of developers looking to capitalize on the game’s success. There are a lot of little knobs and levers that you can turn and pull. In 2017, we’ll see two of the more prominent projects hit the scene; Bethesda’s The Elder Scrolls: Legends, and CD Projekt Red’s Gwent, a spin-off of The Witcher series’ in-world card game. Though Legends just launched last week and Gwent’s formal debut is a long way off, players have been digging into both of these games for months now. You see, like Hearthstone, both projects launched lengthy beta tests far before their official launch. 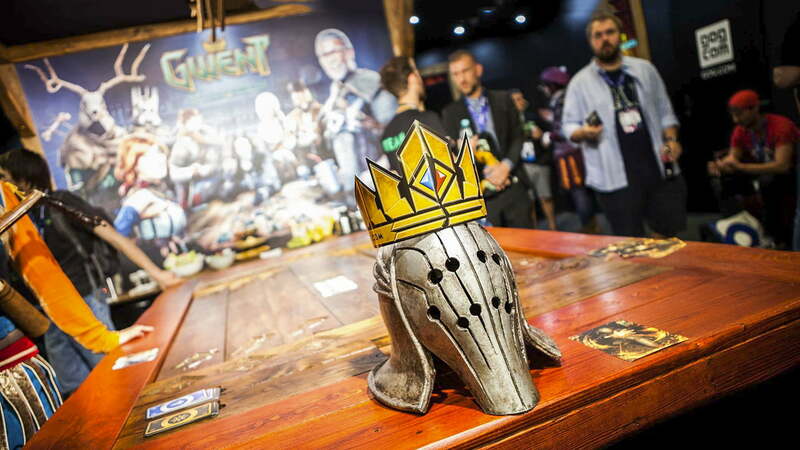 Announced at E3 2015, developer Dire Wolf Digital rolled out Legends to a select group of players in April 2016. In August 2016, the studio opened the floodgates with an open beta for anyone interested in trying it. By the time the game formally launched March 9, 2017, the game had been widely available for the better part of a year. According to Bethesda Softworks VP Pete Hines, the extended beta period gives the developer information that they couldn’t get otherwise. 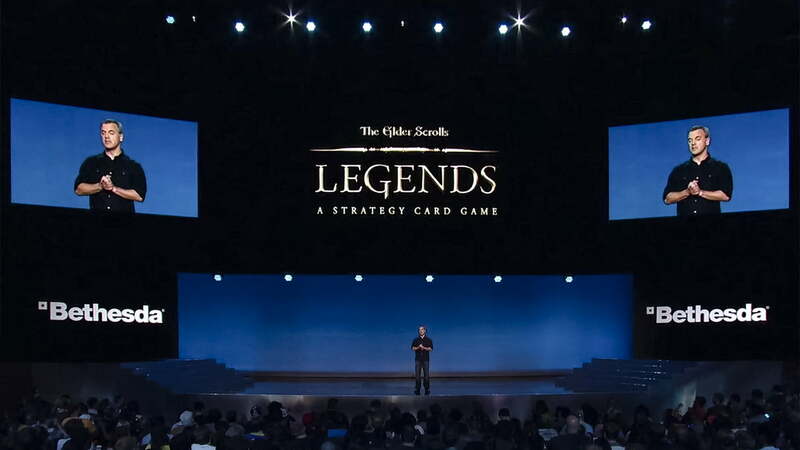 Bethesda announces Elder Scrolls: Legends during its E3 2015 showcase. 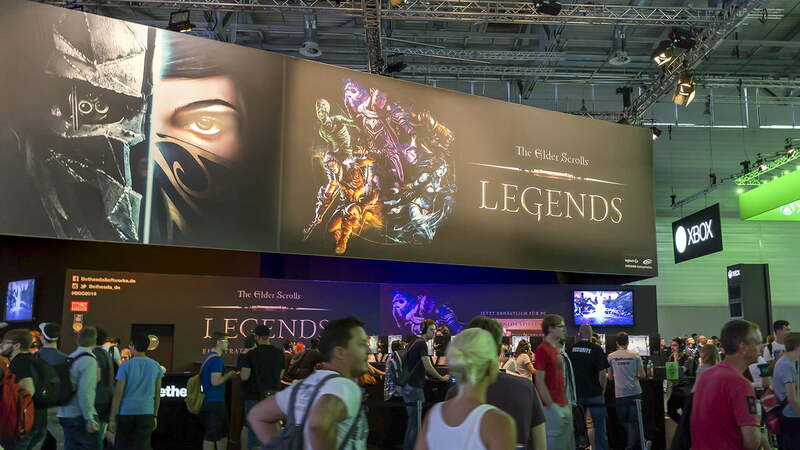 Bethesda announces Elder Scrolls: Legends at its E3 2015 showcase. Gwent has taken a little bit of a different path. When CD Projekt Red made the decision to spin the card game off into a standalone release, they realized they couldn’t just dump the content from The Witcher 3 into a standalone app and expect people to like it. Gwent had to become a much bigger and more complex, with more cards and more sophisticated mechanics. By the time an open beta begins, the game being tested is usually very close to completion. There’s no sense in letting your audience try things out for themselves if the overall experience is undercooked. In <em>Gwent<em>'s "keg" system the player receives a pack of cards and gets to choose the final card they want to keep. In Gwent‘s “keg” system the player receives a pack of cards and gets to choose the final card they want to keep. No matter how extensive the game’s internal testing has been, there are sure to be flaws in the beta build. Tiny details that went unnoticed throughout development, suddenly often stick out like a sore thumb to players who have never seen the game before. This is where beta testing comes in very handy, as evidenced by a problem that CD Projekt Red solved in November 2016. More often than not, the most involved players in a beta test become the game’s most supportive fans. In Gwent, the process of opening new packs of cards is slightly different to rivals like Hearthstone. When opening a pack of cards —called a “keg” in the game — you are given a random smattering of cards, but are also asked to pick one of three cards offered up on a separate screen. 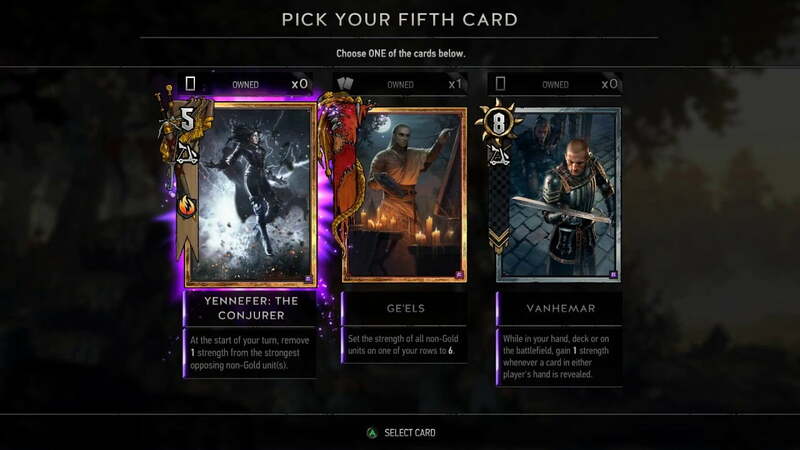 A popular post on the Gwent subreddit pointed out that the system would be better if players could check what cards they already owned when making this decision. “I hope it will be fixed fast,” another player said. Before long, a CD Projekt Red representative had taken to the comments section to confirm that the change would be made, and shortly after the game’s first patch, it was implemented in-game. This kind of crowdsourced user experience improvement also played into the way The Elder Scrolls: Legends changed as a result of beta testing. To test the mobile version of the game, Bethesda launched an iPad version in Canada. The team found soon after that creating an account was much more of a barrier to entry on the platform than it was on PC. As a result, they tweaked the mobile version by employing a guest mode that can be converted to a full account at a later time. These tweaks ensured that, when the game officially launches, players’ day one experience will be as smooth as possible. However, launch day isn’t the biggest concern when it comes to a beta test. Both Gwent and Legends hope to engage an active player base for many years, with regular injections of new content along the way. As players develop new decks and new strategies, the game will evolve organically. That makes it all the more important that the base game is as well-balanced as possible before each game goes live. “We’ve changed stats, we’ve changed values, we’ve removed abilities, we’ve added abilities,” Hines said. “The team behind Legends is an elite bunch with plenty of experience crafting this kind of game, but they’re not too proud to reassess earlier design decisions if the finished product stands to benefit. Hines gives the example of an Orc deck that hit the scene around the time the game’s open beta got underway. The deck was easy to use, fairly cheap to build, and proved to be incredibly effective against just about anything that was put in front of it. Putting the game in the hands of the players allows developers to get an idea of what works and what doesn’t in a scenario that’s much closer to a retail release than internal development. When you’re creating a game that needs to stand up to the rigors of competitive play for years to come, feedback is very important. And opening up your game to the masses gives you feedback that you simply can’t get elsewhere. But even the feedback from players may take a back seat to the community building that occurs when a developer works with the community to polish its game. There’s seemingly transactional relationship that forms between the two: The player gets a sneak preview, at the price of being a guinea pig. The developer gets essential feedback, at the price of letting players see their unfinished product, warts and all. This relationship, however, doesn’t come to an end when the beta is done. It isn’t always possible to make a game without breaking some hearts. More often than not, the most involved players in a beta test become the game’s most supportive fans. Whether their interest is in a genre, a franchise, or a particular game, participants sign up for a reason. These players are going to be crucial later on, if the game is going to be a success. Between the fact that beta players are supplying crucial feedback, and the fact that the population of a beta test will hopefully stick around to become the game’s initial player base, developers need to maintain a good relationship with their testers. In games like Gwent and Legends, where players can track their progress by the library of cards they’ve amassed, that can be tricky. It isn’t always possible to make a game without breaking some hearts. When you have wipe players’ progress, it’s in the interest of the studio to keep them in the loop as much as is possible. That’s why the team behind Legends has gone beyond their official channels to source feedback. They’re scouring social media, Reddit, and forums like NeoGAF for any mention of their game, good or bad. Any information is good information, and no feedback should go to waste. Modern game development is expensive. Any AAA multiplayer title that suffers from lopsided online play, technical issues, or a lack of players at launch could spell doom for its developer. Beta tests help make sure these scenarios don’t play out. They’re a dress rehearsal, a safety net — and done right, they can make the finished product much, much better. Beta tests are only going to become more prominent in the gaming industry, and the techniques that companies are using to get your attention before launch are becoming more and more sophisticated. In February, Ubisoft launched closed and open betas for its medieval fighter For Honor in rapid succession, effectively extending the launch coverage of the game for a full week prior to launch, while building a community and circumventing the need for pre-release reviews. A beta test can serve several different purposes at once, from perfecting a game’s balance, to making sure technical infrastructure is in place, to out-and-out promotion. But all of these purposes really boil down to one goal: making sure the game doesn’t flop when it’s released. When Gwent and The Elder Scrolls: Legends drop their beta status, they will not only represent the design choices of their creators, but countless hours of test play and lots of feedback. With any luck, all that effort will result in games that can stand the test of time for months and years to come.